AIB completed an after-hours make safe to remove a large tree which had fallen onto this property. 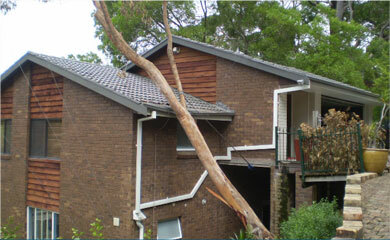 A crane was required to remove the tree and the home was made watertight with tarpaulins and sandbags. A Level 2 Electrician isolated electrics, as the point of attachment was damaged, and a specialist Asbestos removal team cleared the site of contaminated materials.